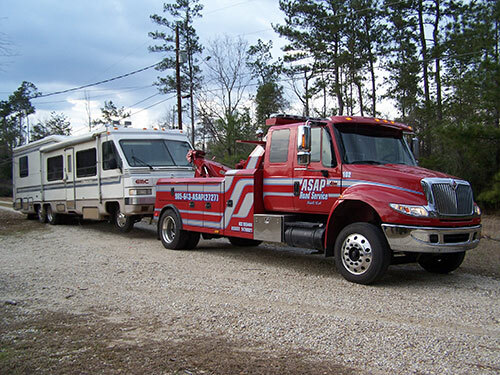 Celebrating 10 years of customer service, ASAP Towing Road Service and Equipment Transportation has been serving Louisiana’s I-10/I-21/I-59 corridor since 2005. 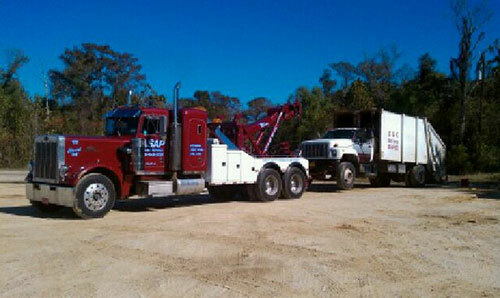 Our highly skilled staff has more than 100 combined years of towing and recovery experience. ASAP is known for successfully tackling the toughest jobs that others can’t or won’t. From prompt, efficient, road-side service to light-, medium-, and heavy-duty tows to complicated recoveries, load shifts and swaps, to submerged boats or vehicles, you can rest assured that ASAP has the staff and equipment to meet your needs. Light Duty, Medium Duty, Heavy Duty and Motorcycle Towing. * For most light-duty tows, ASAP will utilize a medium-duty flatbed or wheel-lift. Either way, rest assured that manufacturer recommendations will be followed or exceeded. ASAP ensures that the vehicle is transported safely, efficiently and without damage. Whether it’s a college run-about, a prized classic, or a high end luxury vehicle, ASAP will treat it as our own. 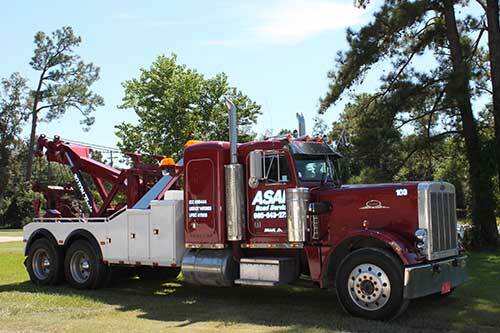 *ASAP Equipment Transportation Service provides a 50,000-lb. capacity, sliding axle Landoll lowboy trailer for your equipment and freight transportation needs. With authority throughout the gulf states, ASAP Equipment Transportation can get your load or equipment on-site, on-time.